This simple pattern I designed long ago times. In this cold, snowy winter (especially us in the north), you can use it very well. 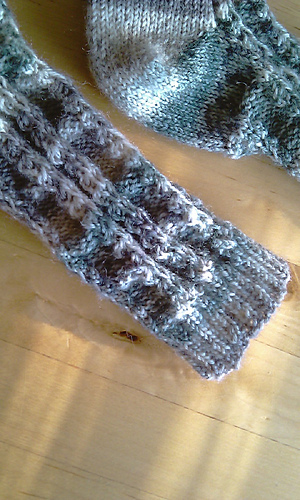 The pattern, however, can also be good for 4-ply wool. This is just the chart for the lace pattern, plus rudimentary instructions to make a top down sock. The chart can be plugged into a 48 stitch sock design, or adapted for a lighter wt. yarn.